Evelyn “Darlene” Maier, 77, Hillsboro, Ohio, died Monday, Feb. 16, 2015. She was born Oct. 18, 1937, near Netawaka, the daughter of Florence and Harvey Plankinton. She grew up in the Wetmore area and gradu­ated from Wetmore High School. Mrs. Maier worked for several years at Hallmark Card Company in Topeka, and was later employed by and became the manager of the Holton Farm and Home store while living in the Holton area. She later became a licensed cosmetologist and provided mobile service to home-bound and local nursing home patients in the Holton and Topeka areas. She and her husband relocated to Hillsboro, Ohio, in 1997, where she continued to work as a cosmetologist. 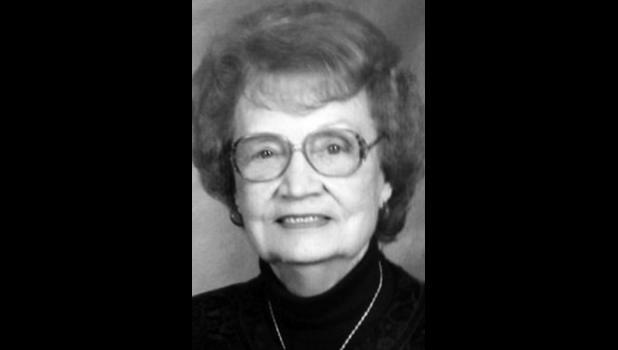 She was active for many years in First Baptist Church of Holton, where she taught Sunday school, was a member of the Adult Choir and participated on several church committees. She later was active in Hillsboro First Baptist Church in Hillsboro, Ohio. She married Warren D. Maier on April 25, 1955, in Granada. He survives. Other survivors include a son, Richard Maier and wife Dorinda, McKinney, Texas; a daughter, Deanna Robinson and husband Brian, Hillsboro, Ohio; five grand­children, Joshua Maier, Heather Curtis and husband Jason, Alora Robinson, Lindsey Gonzalez and husband Justin and Jordyn Robin­son; and six great-grandchildren. She was preceded in death by her parents; two older brothers, LaM­oine and Wayne Plankinton; a sis­ter, Lois Ilene Land; and a son, Douglas Dean Maier. Graveside services were held Monday morning in Holton Ceme­tery. Mercer Funeral Home in Holton is in charge of arrange­ments. Memorial contributions may be made to First Baptist Church, 404 Juniper Drive, Holton, KS 66436.